The level one visitor map for the Cleveland Museum of Art, showing the Gallery One space in green. 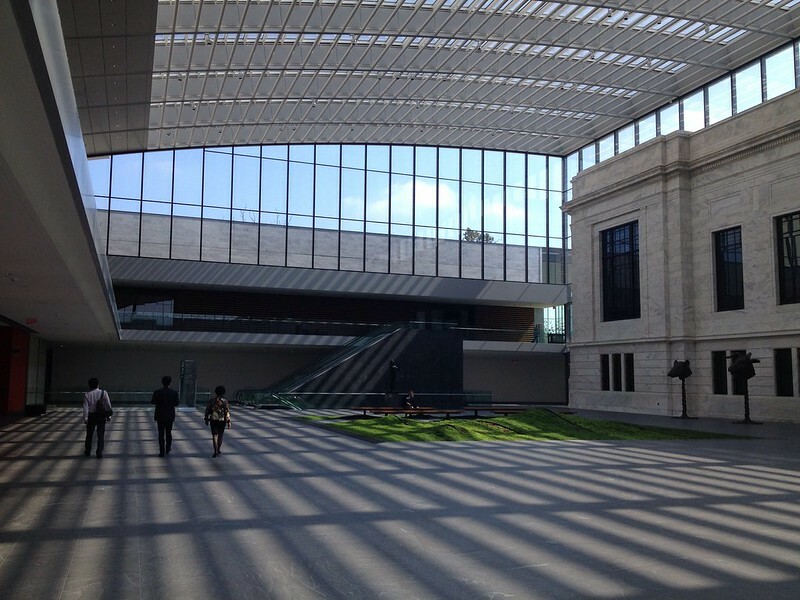 Spanning three levels, the Cleveland Museum of Art has 62 gallery spaces, nine classrooms, an atrium, auditorium, two lecture halls, café, and restaurant with an available private club room. Gallery One is located just inside the main entrance to the museum, on level one (the ground floor). The gallery is composed of two spaces: the former special exhibition gallery in the Marcel Breuer addition and a portion of the Rafael Vinoly north wing. These spaces are very different in character. The Breuer is a large, free span hall. The Vinoly space is a low bright space that opens on to the atrium. The museum decided to take advantage of this and begin the experience in the former exhibition hall and conclude it with the large digital display of our collections in the one that addressed the atrium. With that, the team hoped, visitors would develop a tour using ArtLens app and head out to the galleries to experience the collection. The Breuer hall had been gutted early in the building project, but the beautiful granite floor was intact. The ceiling had been completely removed, exposing ductwork and plumbing. Design staff left the ceiling exposed with a suspended grid of light track. The grid matches the original Breuer ceiling and provides Gallery One with needed flexibility for cabling and Wi-Fi. 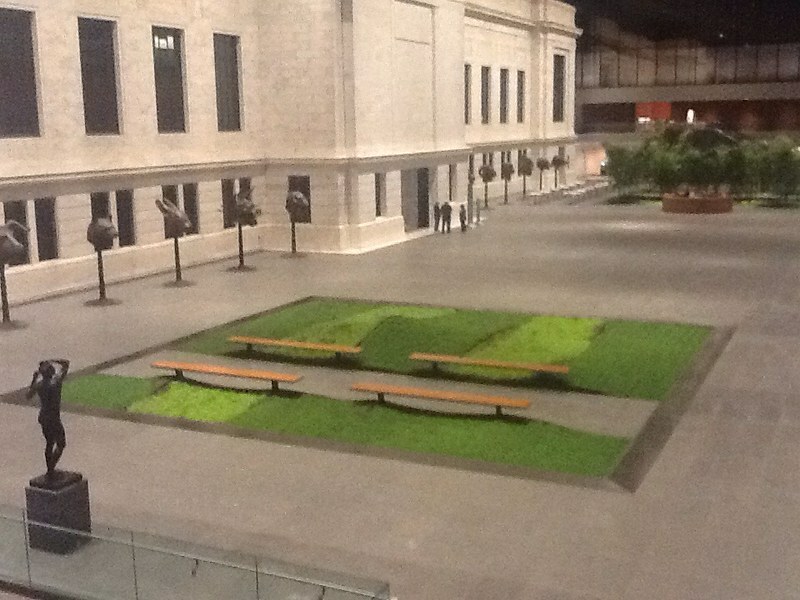 The team intended to make regular changes to the installations as analytics became available to show what connected best with visitors; the artwork was installed very simply with minimal construction to facilitate future changes. The Focus Gallery is across from the Collection Wall at the end of Gallery One. The exhibitions are intended to center on one or a few objects and utilize some of the ideas about looking at art that are introduced earlier in Gallery One. In the future, the museum plans to add an entrance to this gallery across from the Collections Wall to strengthen the connection between these spaces. What is it, and what do you see? This inquiry-based technique provides a new perspective on the visual arts by moving away from the conventional, art-historical narratives as the central, overarching portal into the collections. Gallery One includes three primary kinds of digital experiences to support inquiry-based learning experiences. The interactive lenses are carefully engineered to allow visitors to enhance their experience of viewing without creating a barrier to the physical works of art. Large interactive stations in the gallery take the form of horizontal lenses aimed at groupings of art, each focused on a specific question. This format encourages visitors to use the interactive lens as a kind of transparent tool—to see through the technology for better understanding and enjoyment of the art objects. The Collection Wall was conceived as a tool for visitors to browse CMA’s encyclopedic collection, and serves as a bridge between Gallery One and the permanent collection galleries. It is designed to propel visitors into the galleries, by giving them a taste of the objects in the permanent collection and allowing them to personalize their visit by transferring their favorite artworks to ArtLens for use in a custom tour. Gallery One is connected to the entire museum, and to the overall gallery interpretation program. 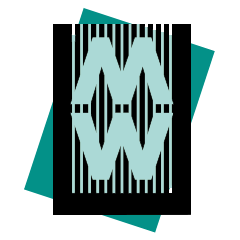 The ArtLens app is a tool designed for multiple visitor behaviors, responding directly to the lessons learned in visitor studies. 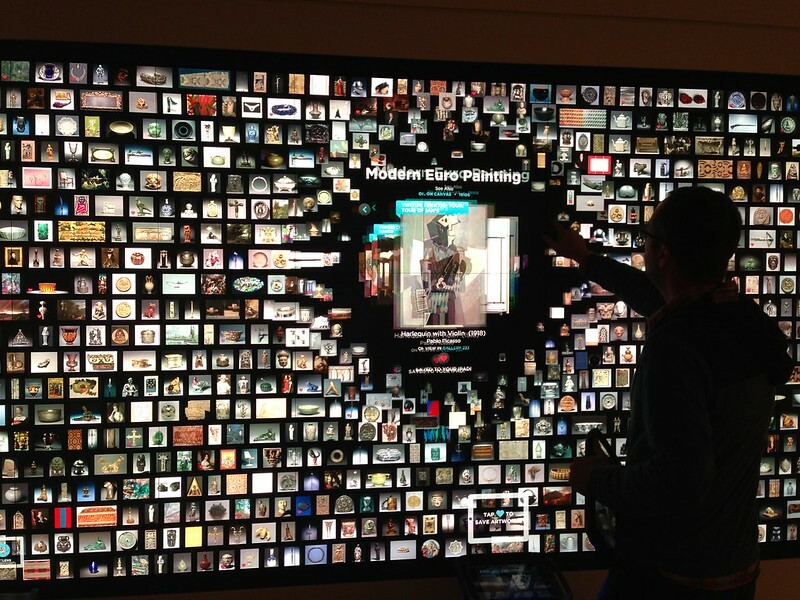 Most importantly, it honors the browsing mode so many of our visitors adopt in the galleries. It allows visitors to reveal digital interpretation by scanning those works they choose as they browse through the galleries. By delivering audio and video interpretation with multiple voices, and perspectives, experts and community members, ArtLens is designed to model and spark conversation among our visitors as they respond to works of art in the galleries. ArtLens also enables visitors to share their favorite objects in CMA’s collections through social media, to further extend conversations and interpretation. At least one Gallery One technician is scheduled whenever Gallery One is open to visitors; depending on the day, a trained IMTS Intern may also be assisting. The technician rents iPads, monitors and supports all of the technological aspects of the space, and helps visitors use available technology. Gallery One employs a staff of five regular technicians, three of whom split their duties between the gallery and other areas of the museum. Staffing Gallery One with a single, full-time person led to burn out, so a rotation seemed like a better alternative. On the Gallery One team, one tech rotates his duties with Media Services, two techs rotate duties with the museum’s internal help desk, and one part-time technician who had lots of tech work in her background was brought over from the Visitor Experience department. This move allowed the team to change the staffing from two people in Gallery One (a Visitor Experience person and a tech), to having just a tech on hand, and adding additional techs during busier times in the Gallery One space. The techs discuss new technology with visitors—who are not all “tech savvy”—and must be “people persons” above all else. They frequently give tours to highlight the different interactives, as well as introduce the museum and its collections. The tech staff continues reach out to visitors who might seem to be hesitant, as well as those who are eager to explore and learn more. The team have discovered over the past year that there are all sorts of “users” and can adjust to each visitor’s needs regarding how to interact with the technology for the best museum experience. The introduction of the iPhone app in January 2014 provided new search functionality that was not available on the original iPad version. Each day the Gallery One tech staff makes sure the Collection Wall and all of the interactive lenses power on correctly, and are available for use throughout the day. They may troubleshoot remotely using LogMeIn on a tech iPad or their personal smartphones. Any one of the 125 Christie MicroTiles display squares that make up the display can be swapped out at a moment’s notice in the event of failure. The computer hardware behind the Collection Wall and the thematic kiosks is also modular for easy maintenance, and uses industry-standard operating systems, utilities, and programming tools for flexibility. Maintaining all of the back-end technology in the Gallery One space requires substantial communication and teamwork. The staff uses a dedicated internal email distribution list to report technical issues to the other Gallery One staff and management. IMTS maintains a shared network folder for technical documentation on how the interactives are run, how to troubleshoot problems, and how to recreate the correct settings in case of failure. The Gallery One tech team updates and adds to this crucial documentation on a regular basis. When technical problems arise, basic troubleshooting can be done in-house by our tech staff. The technicians work together both in person and over email to advise each other on issues they may have worked on in the past. If a problem proves to be beyond staff’s ability to address, it is referred to either our interactive vendor or AV support vendor for further investigation. Our technicians often aid vendors in troubleshooting and testing solutions. CMA does not carry Apple Care contracts on the iPads; all technology in Gallery One is maintained by the locally-based Zenith Systems AV Solutions Group. Weekly Gallery One tech staff meetings provide a forum to address issues, share new information, and brainstorm solutions among staff. The Gallery One technician is almost always in the Collection Wall area, adjacent to the Ames Atrium. For part of the first year, techs were temporarily set up at the corner table in the library reading room area, across from the Collection Wall. The introduction of an actual desk—conveniently located between the Ames Atrium entrance to Gallery One and the Collection Wall—allows technicians to be seen from the Gallery One main area, and new signage helps draw visitors to the right place for assistance. iPad 4s pre-loaded with ArtLens are available to museum visitors for $5. A valid driver’s license is held for security. The Gallery One technician has approximately 30 iPads ready for use each day, but up to 70 iPads are available with advance notice, to accommodate very large groups. 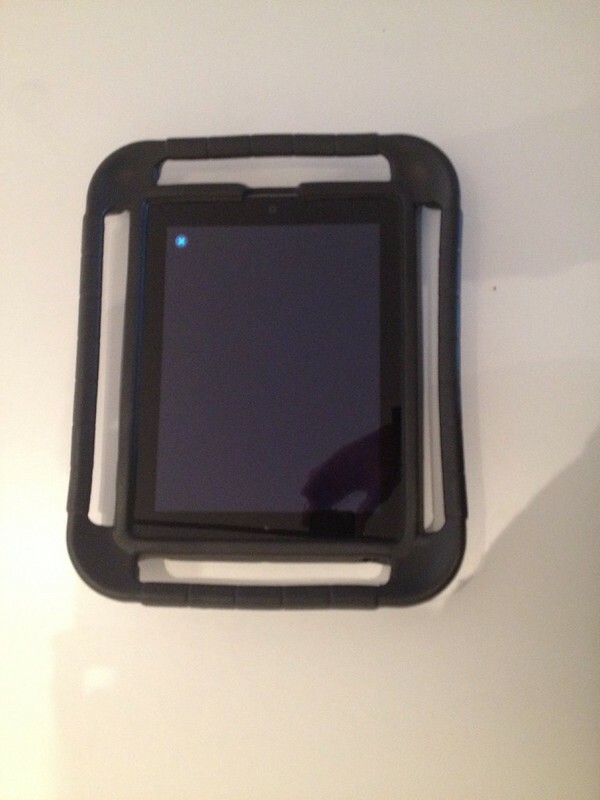 The museum’s iPads are fitted with a distinctive, easy-to- hold case from Gripcase (cripcase.com), which protects the device from breakage and stands out to Protection Services staff; so far, none of our rental iPads have been damaged. The tech on duty charges and cleans the museum’s rental iPads between uses, and can provide cleaning wipes to visitors using their own devices on request. CMA-sponsored groups in Gallery One usually use 10-20 iPads for the duration of the program. Generally, there are 2-4 individual rentals per day, with more on days with heavy traffic. Detailed information about rental availability and requirements is available on the museum website. CMA does not currently have anything budgeted for upgrading our fleet of iPad 4s. The ArtLens iPhone version debuted in January 2014, and iPad use declined, as expected. 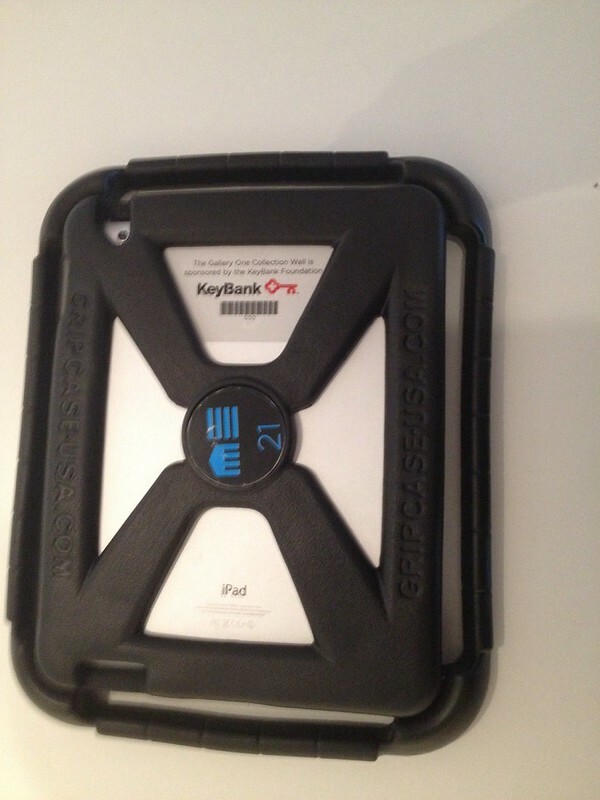 CMA uses the Lock ‘n’ Charge iQ 32 Cart and Lock ‘n’ Charge iQ 16 Sync Boxes to charge and sync our rental iPads. These devices can be used to sync multiple devices at once. Gallery One tech staff currently sets up iPad images (technically “backups”) and settings profiles using Apple Configurator running on an Apple Macbook Pro. CMA uses use one Apple ID for all rental iPads. The museum’s rental iPads are configured to restrict the visitor’s use to the ArtLens app, even following a reboot; other applications, like the Safari browser and email, are not accessible. To date, our iPads have not been hacked. Gallery One tech staff can locate museum iPads remotely, both onsite and off, using Find My iPad. In 16 months of operation, no CMA devices have been stolen. The Gallery One space is very lively and works best when there are not only tech support staff present but also with volunteers recruited as Gallery Hosts. They help engage visitors with the art and the technology especially in Studio Play, the drop-in family space. It was important to hire an assistant, who could both engage families with the hands-on and high-tech activities, while also enforcing rules so that the interactives and art-making supplies are maintained in good condition.